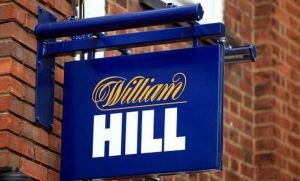 William Hill has admitted that problem gambling is a major social problem in the United Kingdom. The firm admitted that it together with the industry players have failed in tracking the harm caused by problem gambling. On the 16th of July, 2018, William Hill launched a new corporate objective ‘Nobody Harmed by Gambling’ to guide his or her efforts in eradicating problem gambling in the United Kingdom. The initiative has seen the firm place corporate sustainability and social responsibility at the forefront of its daily operations. William Hill’s initiative follows pressure from Gambling Commission and stakeholders in the sector on the need to reduce problem gambling rates with a major focus on television advertising. The Gambling Commission estimates that more than 430,000 Britons are problem gamblers. Additionally, two million Britons are at risk of becoming problem gamblers. The commission has also proved that for every problem gambler, six people in the society are affected. The firm appointed Lyndsay Wright as its first director of sustainability and tasked her with the duty of implementing the new campaign. Her appointment adds on to her existing responsibilities of investor relations and strategy. Announcing the campaign, Wright insisted that it was a critical move for the firm more so considering its future. She said, “We are an 84-year-old business, and if we want to be here for the next 84 years, we have got to do this the right way.” She argued that identifying the right solution to problem gambling is the only way the firm would be guaranteed of its long-term success. Hills campaign’s immediate action plan is to push for registered play across all gambling products and improving advertisements on live sports. Additionally, Hills published nine core commitments that will guide its long-term social responsibility of having a responsible gambling society. The nine commitments detail immediate actions, long-term programmes, and wider collaborations. Immediate actions will entail pilot mandatory tools for its at-risk customers. Through the action, Hills is seeking to impose time limits for players aged between 18 and 21 years. It intends to avail better data to its customers as a way of helping them make more conscious gambling decisions. Hills also plans to roll out robust training programmes on its customers in partnership with gambling experts. Through the training, Hills will improve gambling literacy so that its customers make informed choices. The campaign’s long-term programmes will include creating a responsible gambling innovation fund, developing key performance indicators on responsible gambling, and developing a new program for its workforce to work with problem gambling support organizations in the community. As part of the nine collaborations, William Hills will develop ‘wider collaborations.’ The firm will convene experts so that they can crowdsource on new ideas and share the strategies that have worked for them, drive change on television advertising during live sports events, and push for industry-wide adoption of mandatory account-based pay. Wright announced that the staff training will be structured based on the findings and research carried out by BetKnowMore UK program. She also stated that the firm is seeking community partners to enhance the staff training. Wright emphasized that the training would be done at all levels of the firm’s corporate management structure. Wright expressed concerns that over the years, people’s perception of gambling has changed negatively. She revealed that the evident change prompted the firm to start thinking of a strategy they can employ to eradicate problem gambling nine months ago. Great content martha! this could be a great solution for uk people who are addicted to gambling! Keep it up! This is what is best for the society. At least they found ways on limiting gambling addiction. Fantastic Writing!